Install the Flatpak user program. This is required because Ubuntu does not include it by default. Install the GNOME Platform Runtime. This is required too because many software packaged in .flatpak depends on this as a dependency. Download the .flatpak package of a software. 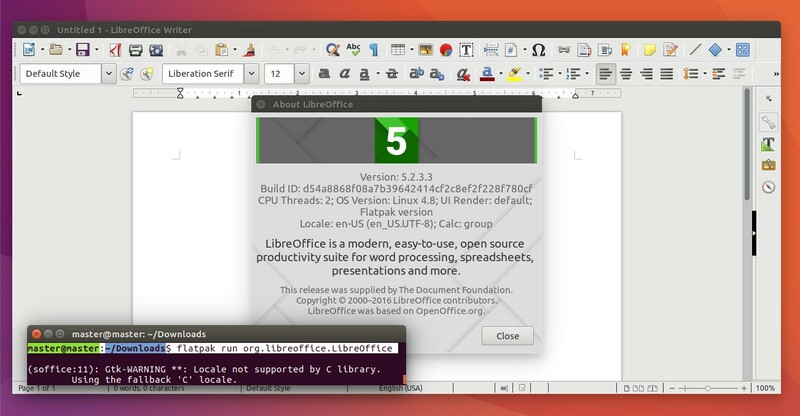 You may find some popular free software like LibreOffice and GNOME already has Flatpak version of their software. Nowadays, Flatpak is still a new thing, so there are not too many software already available yet in Flatpak format. Install the .flatpak package using the Flatpak user program. 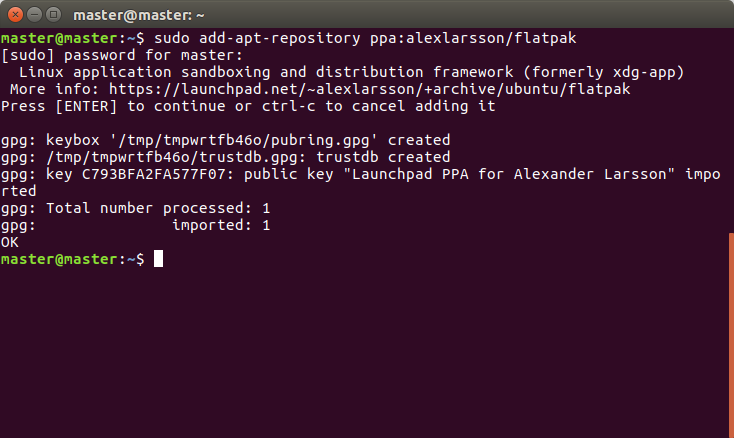 Once you have Flatpak user program and GNOME Platform Runtime, you can install any number of .flatpak packages. 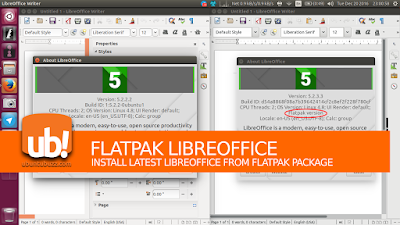 After having the two requirements, you just need to download the LibreOffice package in .flatpak file format. 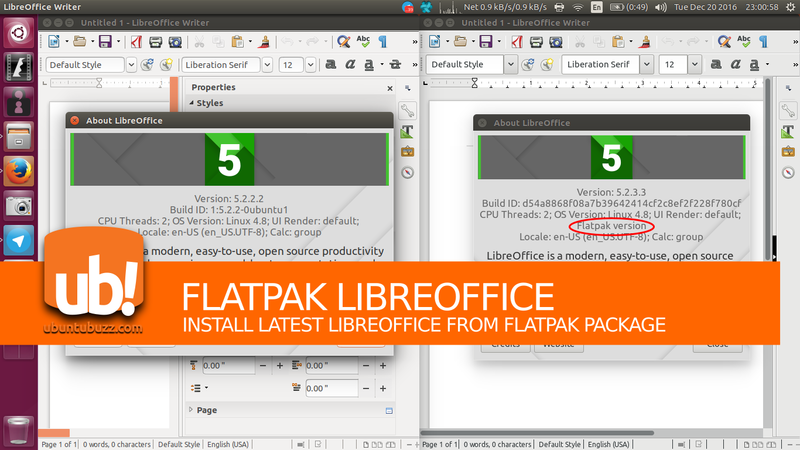 Download it from this URL: http://download.documentfoundation.org/libreoffice/flatpak/latest/LibreOffice.flatpak. At the day I write this guide (20 December 2016), it is 156 MB in size and it contains the LibreOffice software version 5.2.3.3. Here are some useful information to use Flatpak just like you use the default apt-get package manager. 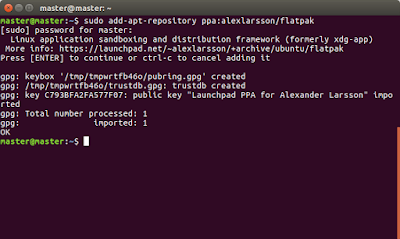 $ flatpak list : command line to show what Flatpak packages installed in your system. $ man flatpak : command line to show complete Flatpak user manual.